© Riswani Koedrat. All rights reserved. This was a shot a street vendor shot up close while I was travelling to Bandung. It was at a place called "Dusun Bambu" where one can taste the culinary delights of Indonesia. 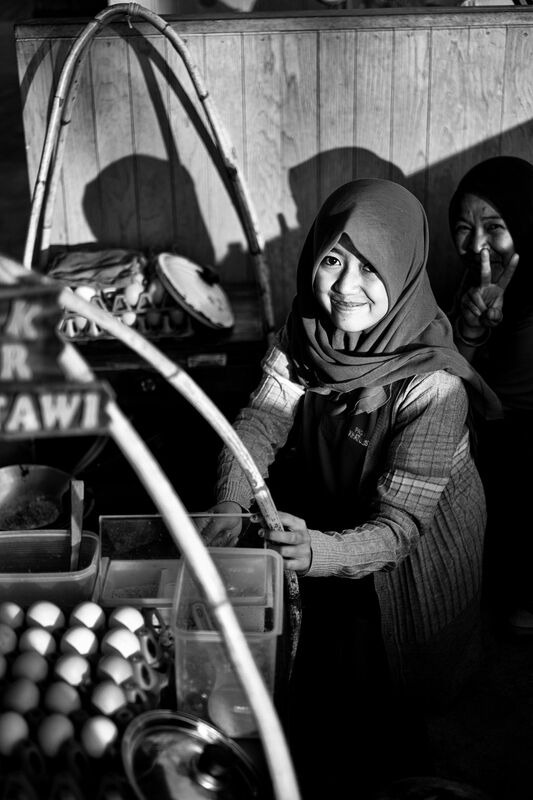 The girl here sells traditional "Betawi Kerak Telor". A combination of grated coconut and duck egg, pan-fried. Date Uploaded: Oct. 22, 2015, 11:44 a.m.